Anton Yelchin, an actor who appeared in a “Star Trek” reboot, died in a car crash Sunday. He was 27. John Cho, an actor who appeared alongside Yelchin in the film, confirmed Yelchin’s death. Yelchin’s publicist confirmed his death on Sunday, Deadline.com reported. 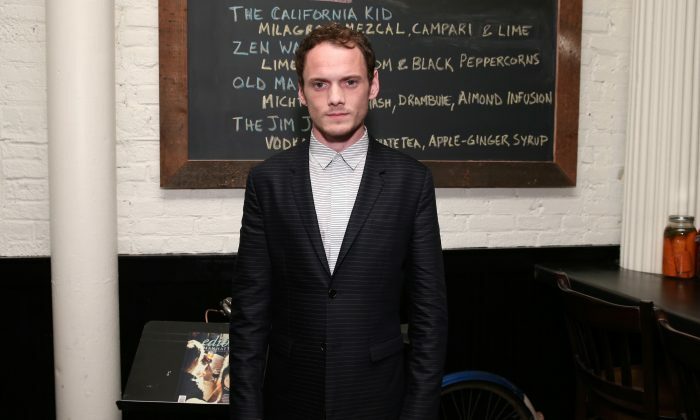 “Actor Anton Yelchin was killed in a fatal traffic collision early this morning. His family requests you respect their privacy at this time,” Jennifer Allen said in a statement. Jenny Hauser, a spokesperson for the Los Angeles Police Department, also confirmed Yelchin’s death Sunday morning. “A fatal traffic collision happened in Studio City. On Sunday, June 19, at 1:10 in the morning, a fatal traffic collision occurred. It was the result of the victim’s own car rolling backwards down his steep driveway, pinning him against a brick mailbox pillar and security fence,” she said. Yelchin was behind the car, which caused “the trauma which led to his death,” she said, according to USA Today. But his biggest role was in the “Star Trek” reboot films. “Star Trek Beyond,” the third film in the series, comes out next month. Yelchin, an only child, was born in Russia. His parents were professional figure skaters who moved the family to the United States in 1989, when Yelchin was just 6 months old. His parents made the move to Los Angeles for the sake of their son, so he didn’t have to grow up in the volatile environment of the Soviet Communist regime. “We were afraid for our son,” Yelchin’s father Viktor told Los Angeles Times at the time. The Yelchin’s were also persecuted for their Jewish religion and blocked from traveling after Viktor’s brother Eugene emigrated to the United States. Once in Los Angeles, Anton’s family first stayed with his uncle Eugene, but quickly made it on their own as his parents resumed their skating career. Anton was not particularly good at skating, so his father had a more conventional career in mind for him. “Because, we’re Russian Jews, so naturally, what does your kid do? He goes to law school or he goes to med school,” Anton told The Associated Press in 2011. But Anton was fond of acting, especially improvisation, and his father ultimately accepted his choice to pursue acting as a career. Yelchin’s family requests privacy at this time. Epoch Times reporter Petr Svab and The Associated Press contributed to this article.